Mark Gillman has years of practical experience and has worked in the construction and remodeling trade for the last 21 years. 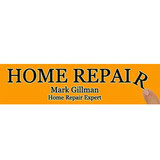 "If you have something that's not working or in need of repair, give me a call. I can fix just about anything in your home." 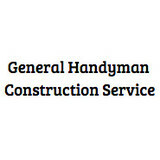 General Handyman Construction Service is a handyman servicing Oakland, CA and surrounding areas. Carpentry New Construction, Dryrot Removal, Foundation Repair, Exterior Siding Installation, Exterior Deck Repairs, Doors, Window Repair or Replacement, Floors, Stairs, Cabinets, and Countertops Roof Repairs Repairs and patch roof leaks, gutters, and downspouts Electrical Lighting, plugs, installation, and general electrical troubleshooting for shorts, overloads, etc, Appliance Installation Stoves, Diswashers, Washers, Dryers Painting Interior and Exterior painting and waterproofing Drywall and plaster repairs and installations. Plumbing Plumbing Repairs, unclog slow or inoperable drains in your Kitchen, Bath, Garage, etc., New installations for Sinks, Bathtubs, Toilets, Water Heaters, Furnaces, and More! We offer complete handyman services including repairing and installing everything from faucets to fences, painting, and concrete work. Please just ask! From installing a toilet to remodeling a bathroom, Lamorinda Home Repair is just a phone call away. 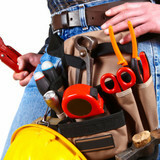 There is no need to make multiple calls to different contractors. One call does it all! Our service technicians are highly skilled handymen, who can complete your entire "to- do" list. When you call, our full-time office personnel will discuss your particular needs. For smaller projects, we will schedule an appointment that is convenient or send out an experienced estimator for larger projects. Our insured and bonded employees are experienced craftsmen. They are employed by us and will show up at the scheduled time, prepared to start work immediately. For larger projects, such as a bathroom or kitchen remodel, we will be happy to schedule an appointment for an experienced estimator to visit with you. He will discuss your needs and advise on the best way to complete your project both efficiently and cost effectively. No matter your needs, we have the solution. That's the Lamorinda difference. We value our customers and our employees will communicate with you every day on the project’s progress to ensure you know what is being completed and why. We use honesty, integrity and reliability to guide our way with every customer we meet and remodeling project we manage. Use the mobile app, online form or text us. Let us know when and where you'd like us to show up. The experienced service provider will provide you with a FREE estimate. Once your service is completed and you are satisfied, you pay your service provider. The Appliance Doctor is the original appliance repair business in Walnut Creek, and we have been serving our clients’ appliance repair needs for over 20 years. People sometimes confuse us with other repair services, but unless you call and hear Jackie’s friendly voice booking your appointment or have Bernard, aka Benny, show up at your door promptly, dressed professionally with our iconic logo on his red shirt, you have the wrong appliance repair business! 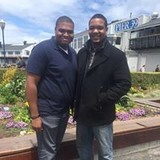 Jonathan is our right-hand man, working tirelessly behind the scenes to make sure the entire system flows seamlessly and your needs are met.